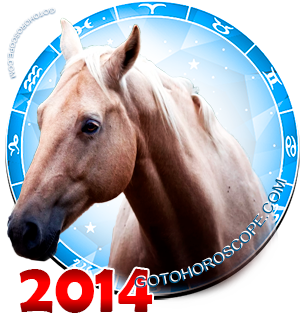 May 2014 Horoscope Sagittarius, free Monthly Horoscope for May 2014 and Sagittarius Astrology Forecast for the month ahead. Sagittarius, the final sign of the Fire trigon, must be prepared in May 2014 that big opportunities await him on the work front, such that he could not even dream about. As a result of an efficient and timely utilization of these opportunities, the representatives of this sign may achieve significant results in a very short period of time. This is all thanks to Mercury and Venus. Mercury, responsible for the "expulsion" of the Scorpio sign, due to general combinations will redirect its emanations and will fully support Scorpios on the area of business. Venus, being the planet-exalt of this sign, will be in full solidarity with Mercury and will focus in that same direction. As a result, you will get a powerful combined support, with which Mercury is able to achieve anything. Jupiter, which in its usual position is the planet-ruler of the Scorpio sign, will suddenly decide to change its preferences. Massive problems could be the result of this decision, specifically in the area of life that is not covered by anyone else. 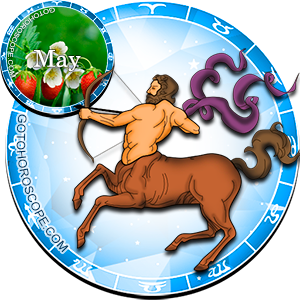 Yes, we are talking about the "love front", where the Sagittarius may see fairly serious conflicts this month. 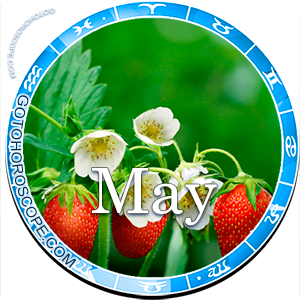 At the same time, in terms of the work direction, the sign of Scorpio has little to fear in May 2014. The planets of the Solar System will be exclusively focused on this side of our life. So at the dawn of the first ten-day period, be ready for a powerful and productive work boost. Yes, you will have to work hard right now, so that by the end of the third ten-day period you can truly reap your rewards. Your diplomatic talent, strengthened due to Mercury's influence, will help you. It is your business and trade agreements that a lot will depend on, more than on the realization of the current projects. So concentrate on your work partners and be constantly in high alert, noticing changes in currents and wind ahead of time. Your attentiveness will be the key to your success. Pay special attention to the date of May 14th. During this Full Moon, the influence of Venus is very likely to rise. If any of your business partners or opponents will suddenly and evidently become passionate towards you (of course we are talking about romantic passion), then you do not have to worry: this is not a strategic move, but sincere feelings. Just how you handle it is not up to the stars, the choice is all yours. Sadly, but in the direction of personal relationships, everything will be much sadder and the probability of even a slightly positive outcome is minimal. The influence of Saturn will be so strong, that the rapture of current relationships is possible. You can blame constant conflicts, based on mutual claims - both reasonable and unreasonable ones. Perhaps it is for the best. Relationships which do not have a good foundation based on mutual trust and understanding will not have a good ending. This is why, perhaps, Saturn will push you towards the right decision without actually knowing it. On the other side, it may happen that due to silly trifles you may leave the one you were truly happy with. You are the one that must determine the outcome. This will not be so simple, as the opinions of your friends will be radically different from yours. Just remember that they may be more objective, while these are your personal feelings and only you possess the full real information. You must make the decision prior to the end of the second ten-day period; otherwise, everything will turn out to be even more serious.